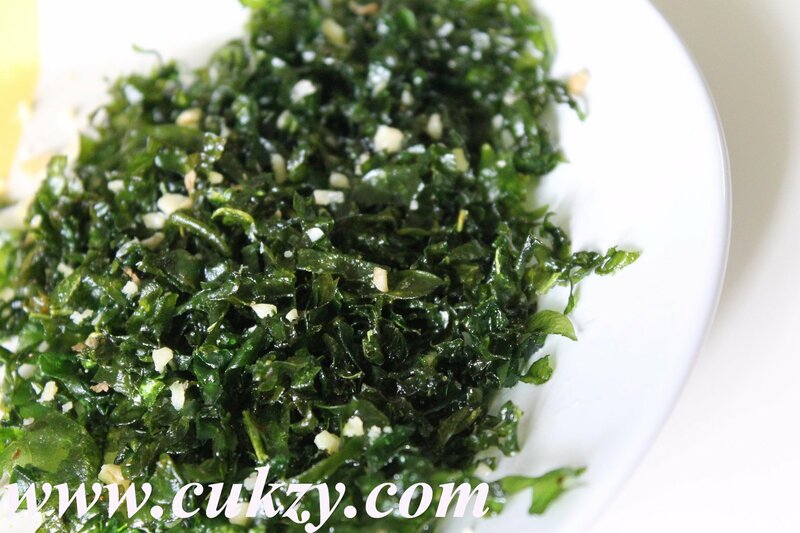 Crackling spinach is a very simple recipe, perfect as appetizers in parties or dinners. However, if perfectly fried and well seasoned, this dish can be beyond ordinary. 1. Wash the spinach leaves and dry completely. Cut into thin strips, almost shredded. 2. Prepare the seasoning. Roast the sesame seeds in a pan. Take care to avoid burning. Remove in a bowl. Add the crushed chilli flakes and sugar. Mix well. 3. Hat oil in a wok. Add in spinach and deep-fry till crisp, which takes about 3 minutes. Slightly stir the leaves to avoid burning. Drain on absorbent paper. 4. Season with salt and lightly mix. Sprinkle the sesame seeds mix.